5V Pulleys are offered in 2 through 10 grooves 5V groove sheaves see our wide assortment of ContiTech 5V, 5VX, V-belts 5VX & 5VF Wedge Torque Team Banded V-belts for maximum flexibility and horsepower range. Sheaves are balanced & accurately machined to minimize vibration. Largest selection of products of any sheave manufacturer assurance to have the best product for specific application and most economical drive design​. First in the industry to provide sheaves with the durability of a power coat paint which protects product from rusting in high moisture environments. 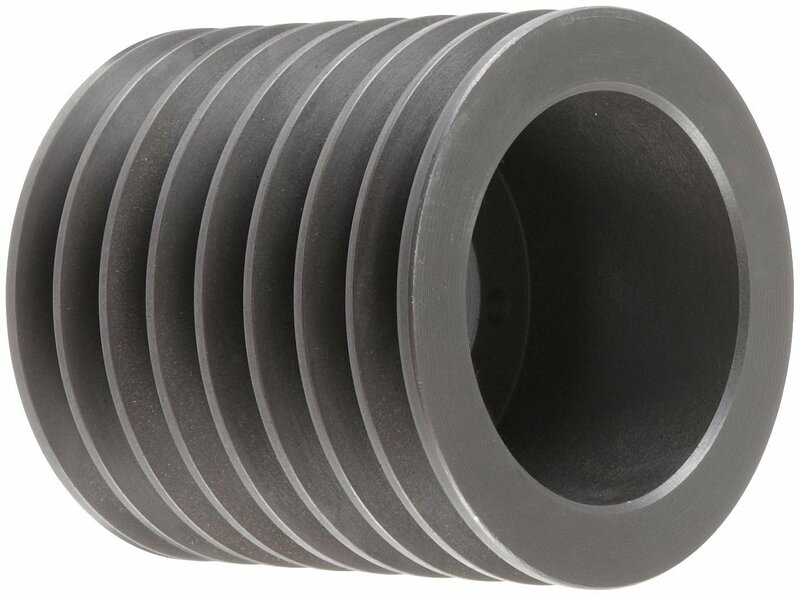 Required QD inch bushings and QD metric bushings style provide flexibility of inventory, by just changing out the bore size of the bushing. If you need help Contact Us.